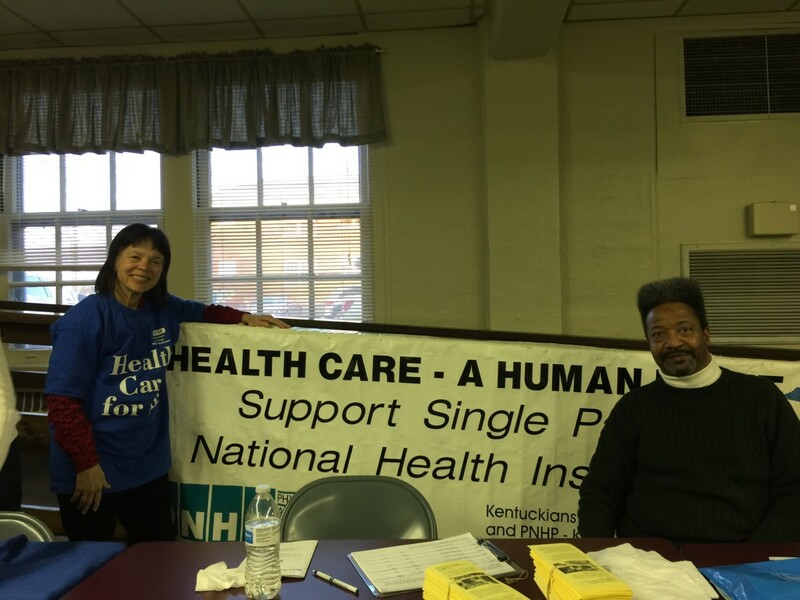 KYHealthCare | Working to promote single payer health care in Kentucky. Contact us: nursenpo@aol.com . Visit us on Facebook. Read the Physicians’ Proposal for a National Single Payer Program here. Sign on to it here. Articles of interest. Quote of the day by Dr. Don McCanne. Answers to questions on single payer. HR 676, Expanded and Improved Medicare for All. American health care is in continuing crisis. Access is declining, and costs are out of control. Medical bankruptcies, unheard of in other developed countries, still plague us. Even though the U.S. spends nearly twice as much per capita on health care, our health outcomes are far worse than other comparable nations. For example, way more American women die of pregnancy-related complications, and the rate is rising. What’s wrong? Corporate profiteering. Corporations squeeze the insured, you, for every nickel to pay their dividends and increase cash value. Insurance companies raise premiums, deductibles and copays; they deny claims and contrive to insure only healthy (cheap) people. The patchwork of private insurance costs our nation billions in administration, billing and collecting – amounting to a full third of health care expenditures. Hospitals track every pill and bandage and charge for each item. Physicians spend an average of nine hours a week with a jumble of plans for billing, preapproval and payment. It is taking a toll on the profession in burnout, early retirement, depression and suicide. Patients are angry and frustrated by the bureaucratic maze of filing claims, with justifiable claims often rejected. What about workers for insurance companies when single-payer replaces private insurance? The new system will need their administrative experience. Moreover, single-payer legislation specifies that displaced workers be provided retraining and two years of salary. Many, who are health care workers themselves, will move back to actually providing care. And, like all of us, they and their families will have all medically necessary care as a right! In 2003 the first single-payer bill in the U.S. Congress was tagged the Medicare-for-All bill. The name stuck. Today there are many “Medicare for Alls.” However, only two are single-payer plans, one House and one Senate version. They provide for publicly financed, nonprofit national health insurance that fully covers medical care for all Americans. Drug companies, for-profit hospitals, insurance companies and others invested in profit-based care are campaigning vigorously against single-payer, spreading misinformation and fearmongering. Don’t believe the lies. National health plans work extraordinarily well in every other industrialized nation. Canada, Scotland, Sweden, Taiwan, Japan and dozens of others cover their entire population for a fraction of what the U.S. spends (wastes!) and enjoy longer lifespans and better health outcomes. An American single-payer plan will pay for itself by redirecting wasted administration and profiteering funds into patient care. Consider the vast difference in cost: From 2007 to 2014, spending in private plans grew nearly 17 percent per enrollee, while Medicare spending decreased 1.2 percent per beneficiary. Congressman John Yarmuth has represented the 3rd District of Kentucky in the House of Representatives with honor and distinction since 2006, and he has been a single-payer champion. As chairman of the budget committee, he called for Medicare for All hearings. He knows that a majority of Americans support single-payer, but he has recently withdrawn his support. Chairman Yarmuth should give singlepayer his wholehearted endorsement. Single-payer will have an immediate healing effect on all our people, and it will arrest our surging wealth inequality. The Rev. 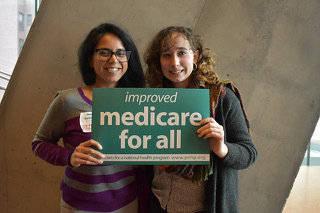 Dr. Martin Luther King Jr. said, “Of all the forms of inequality, injustice in health care is the most shocking and inhumane.” With singlepayer, in one transformative action, on at least one level, everyone becomes the same, and we seriously commit to a true democracy with justice for all. 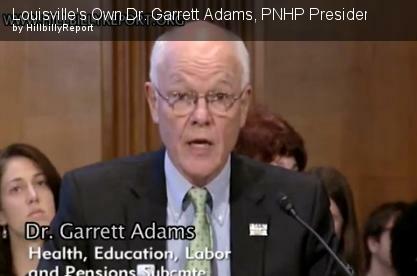 Dr. Garrett Adams is a founding member of Physicians for National Health Program-Kentucky and a member of the group’s national board. The letter is reprinted from the April 14, 2019, edition of the Courier-Journal. The sorry state of health care in this country is consistent–it’s sorry, but seems to be getting worse. From the usual Republican mantra of “repeal but no replacement,” to the many progressive, Democratic efforts to cover all citizens, the path forward is an untidy and unnerving effort. It doesn’t need to be this way. The Medicare for All, Single Payer approach is the most viable and economically stable way to cover everyone for less dollars. Under this program, the vast majority of citizens would pay less and have much better coverage than is currently available. No premiums, no deductibles, and no copays, just a simple and affordable payroll tax that is matched by employers, along with a tax on unearned income. We cut out administrative waste, overhead and profit, and use the savings to fund the uninsured and underinsured. It’s really simple. Finally, as a way to ensure the Medicare for All viability, all members of Congress and the administration would have the same coverage as everyone else. We can all rest assured that with this mandate, the long-term success would be a slam dunk. After all, why is Congress making decisions for our health care when they possess the best blue ribbon coverage in existence? They need to be part of the solution: Medicare for All, Single Payer. Charlie Casper, Louisville 40207. Charlie Casper is the Treasurer of Kentuckians for Single Payer Health Care. 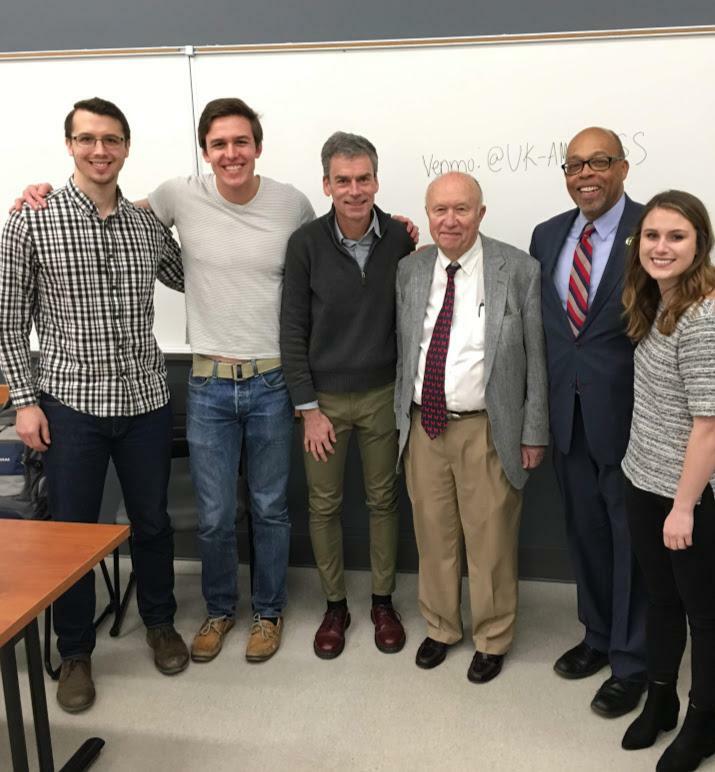 On Monday, February 25, 2019, medical students Jessica Geddes and Patrick Osterhaus, members of the Programming Committee of the American Medical Association Chapter at the University of Kentucky College of Medicine, held a panel discussion about Single Payer Healthcare for medical students. The guests included Kentucky State Senator Reggie Thomas, J.D., Dr. Ewell Scott, M.D., and Dr. Glen Mays, Ph.D. in Health Policy and Administration. Senator Thomas is a member of the Democratic Party, and earned a law degree from Harvard Law School in 1978. 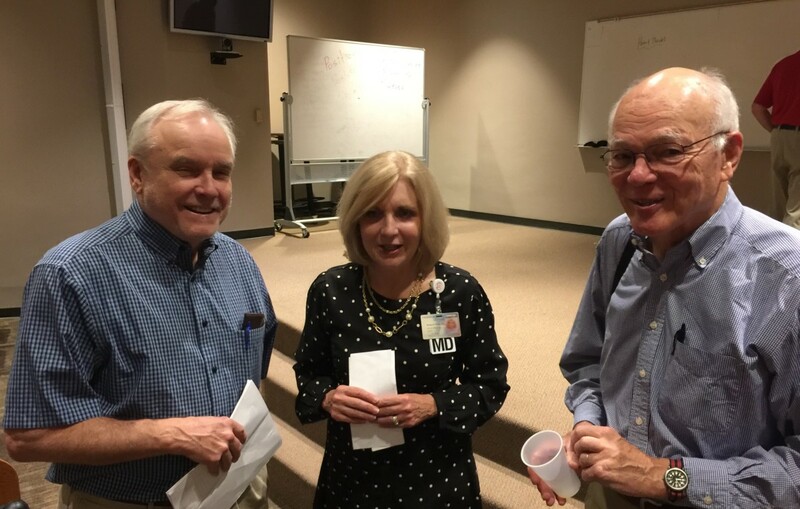 Dr. Scott earned his medical degree from Case Western Reserve University Medical School in 1966, and recently retired after practicing Internal Medicine in Morehead for over 40 years. Dr. Mays is the Scutchfield Endowed Professor of Health Services and Systems Research at UK; he earned is undergraduate degree in Political Science from Brown University, and completed both an MPH and PhD in Health Policy and Administration at the University of North Carolina-Chapel Hill before completing a postdoctoral Fellowship in Health Economics at Harvard Medical School. All panel members agreed that a Single Payer system would effectively lower hospitals’ overhead costs without changing physician salaries very much, but had different ideas of how best to implement such a system. Dr. Scott was in favor of a fast implementation of a Single Payer System, pointing to Taiwan as an example, where a complete healthcare overhaul was achieved in 1995. He said, “our country needs to get over our fear of socialism,” in order to improve healthcare for citizens. On the other hand, Senator Reggie Thomas advocated for a more gradual approach, suggesting that a good first step would be lowering the age of Medicare eligibility to 55 (from 65), then 45 and so on. He expressed concern over transitioning to single payer too quickly, saying “I don’t want to set something up to fail.” Senator Thomas gave the example of the Affordable Care Act, which was less revolutionary yet faced major opposition and barely passed in 2010 even after several compromises. He also explained one major obstacle to implementing a Single Payer system — lobbying from private insurance companies. Dr. Mays weighed in on the financial aspects of both methods — he described the shock that would occur due to federal budget increases if Single Payer were to be implemented quickly, and the difficulty that would arise with setting prices for medical services under a Single Payer model. He explained that we would have to trust the federal government to decide payments, but in doing so we risk setting prices too low and causing hospitals to go out of business. He brought up the idea of having private insurance companies coexist with a Medicare for all system, similar to Medicare Advantage Plans today, but other panelists pushed back against this approach. He said we should keep an eye on states such as Maryland, which has been experimenting with an all-payer global budget program, and California, whose state government has been considering implementing a similar program. 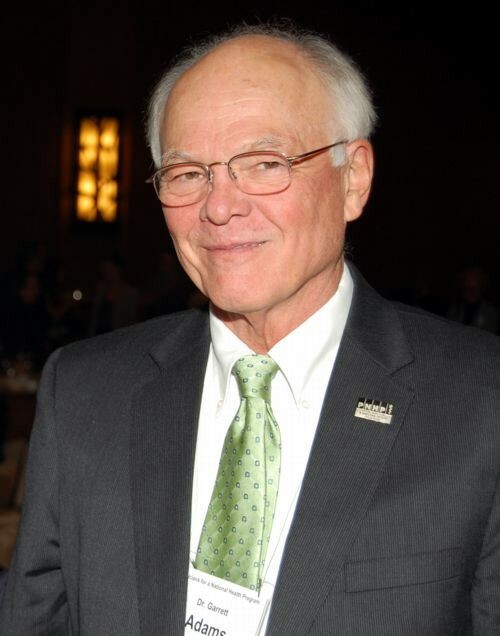 On February 10, 2019, Louisville’s justice community gathered to celebrate and honor the life of Tom Moffett. Rhody Streeter made videos of some who worked closely with Tom, and those videos are available here. 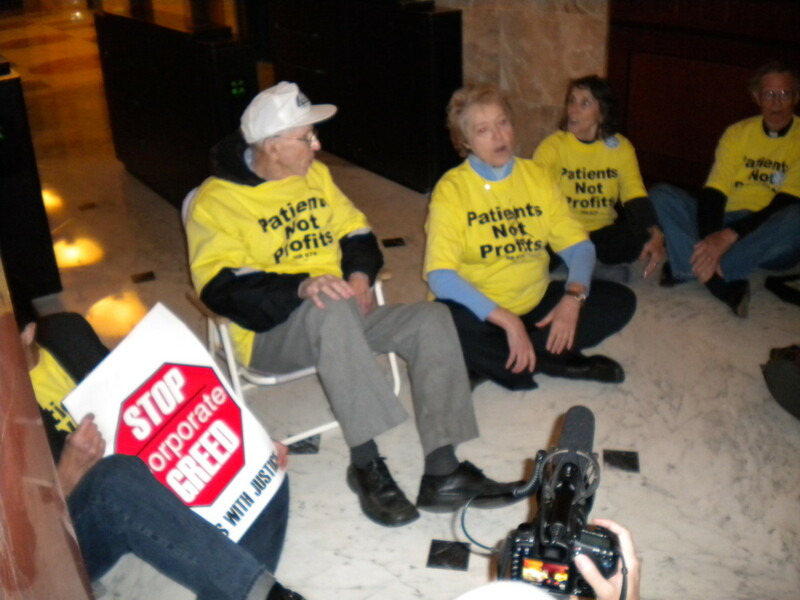 Tom Moffett at the sit in at Humana to demand an end to the denial of care. Louisville Magazine did an in-depth article on Tom. That is available here. 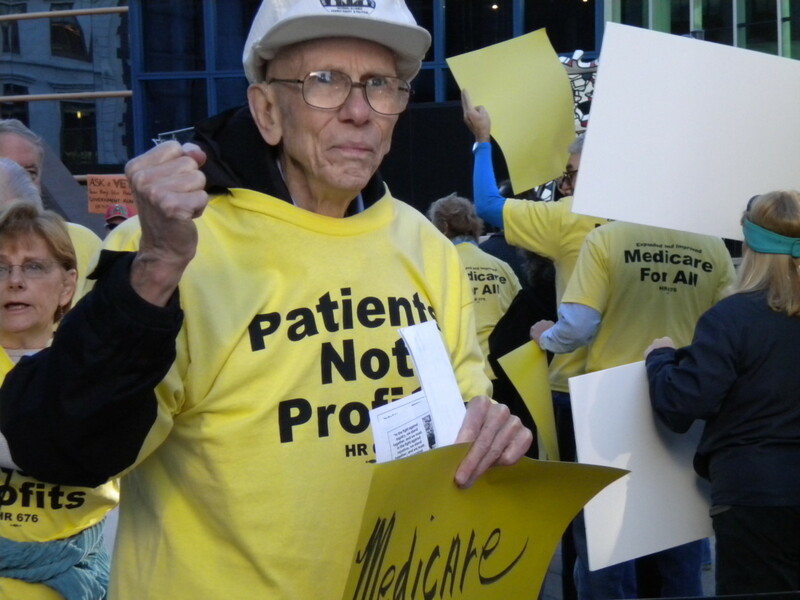 Tom Moffett at a Louisville demonstration for single payer health care. 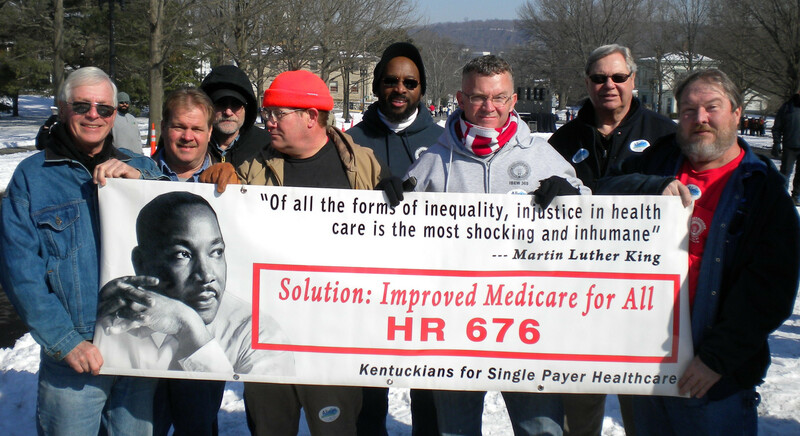 Kentuckians for Single Payer Health Care is grateful to Tom for the many years of work and inspiration that he gave generously to our movement. On Saturday, February 16th, 2019, the American Medical Association Region 5 Medical Student Section held a conference at Indiana University School of Medicine in Indianapolis, Indiana. 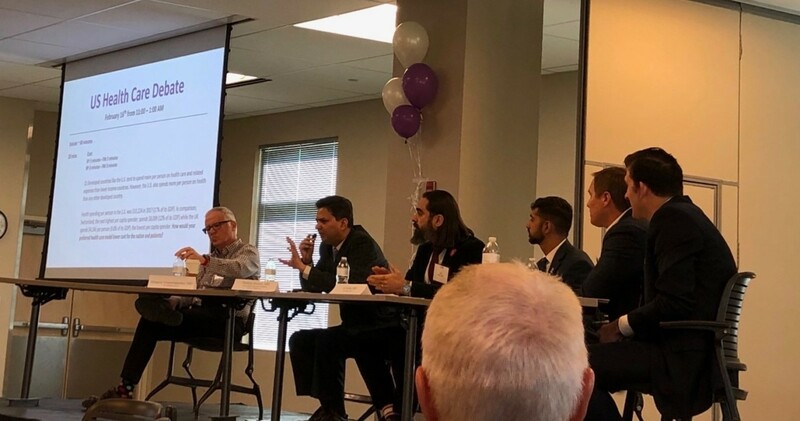 Among the many topics discussed, the anticipated highlights of the event included a healthcare systems debate of a single-payer vs. free market system. In the near two-hour debate, panelists were asked to define problems with our current healthcare system and debate the effects their model would have on patient access, overall quality, and cost. Dr. Gramelspacher described the overwhelming sentiment of the panel and those in attendance in saying that “the U.S. is the best place in the world to get very sick, but it’s not a good place to stay healthy once you leave the hospital.” While both sides agreed that plethora of private and public 3rd party providers overcrowds the system, the faith in who can effectively reign in the system—a unified government or a sea of independent physician entrepreneurs—is at the core of this issue. Dr. Kummar and proponents of a single-payer system highlighted the appeal of the bargaining power a single government sponsored insurance entity would have in negotiating pharmaceutical costs. They pointed to studies showing that this effect combined with fact that single-payer would dramatically lower administrative overhead, leading to an estimated saving of 500 billion dollars. Dr. Sinha was outspoken in his firm belief that “healthcare is a right” and that without this commitment to insuring everyone, our poorest citizens will continue to die without care. Proponents of the free market system highlighted the role of a direct primary care model as a solution. In this system, a clinic would forgo any insurance and charge patients monthly fees for their services. Mr. Habig, whose company helps physicians start their own direct primary care practice, argued that the U.S. is currently far closer to a single-payer system than a free market. He and family medicine resident Dr. Schmale agreed that the only way to solve our healthcare crisis is through deregulation and increased competition. Habig noted that the ideal regulation of the system would be similar to the way current automotive companies are regulated today. Students were very concerned with the ability of a free market to be driven to provide for poorer populations. As first year UofL medical student Hayley Moss stated, “For people like me who depend on Medicaid, even the lowest market price would be too much.” A poll of the student audience taken at the end of the debate showed that 88% percent supported a single payer system, while 12% supported a free market approach.